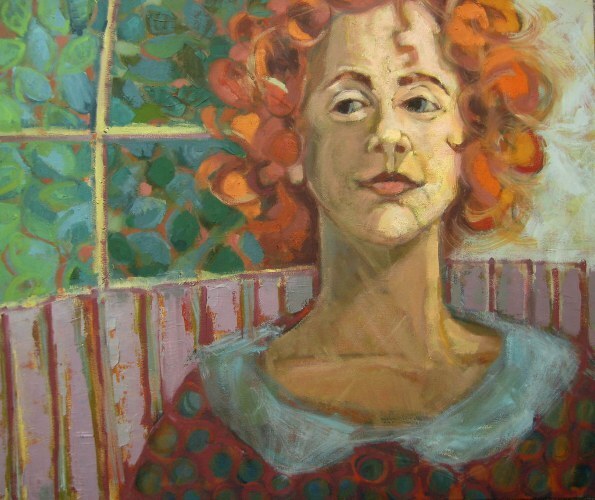 Learn more about artist Gretchen Van Dyke and this show here. See more of Gretchen’s artwork here. We begin and end the year with art of the figure, just as sustainability problems and solutions essentially begin and end with choices made by the human race. Now on view through the November 30, “Figures Observed” is the fourteenth show in our “Art & Sustainability” series at Sightline Institute. 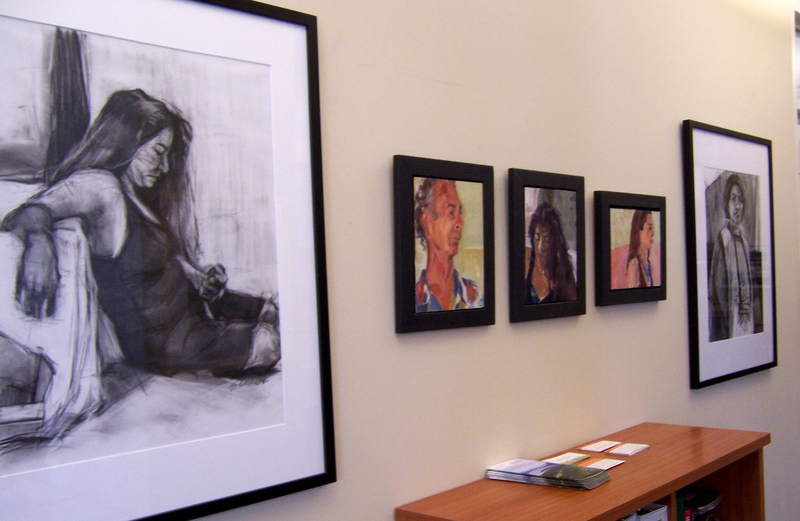 It features 11 oil paintings and 6 charcoal drawings by Issaquah artist Gretchen Van Dyke. 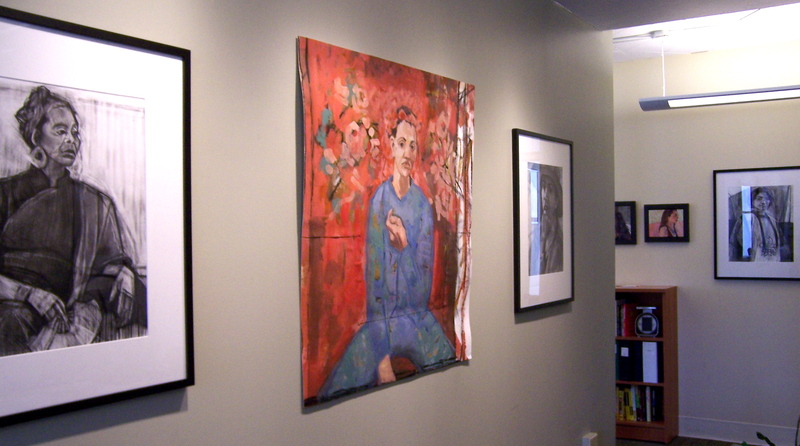 My paintings explore time, surface, color, and human introspection. I work from observation, with memory, and abstractly, creating paintings and drawings on canvas, wood panel, and paper. Still life and the human form are my subjects. 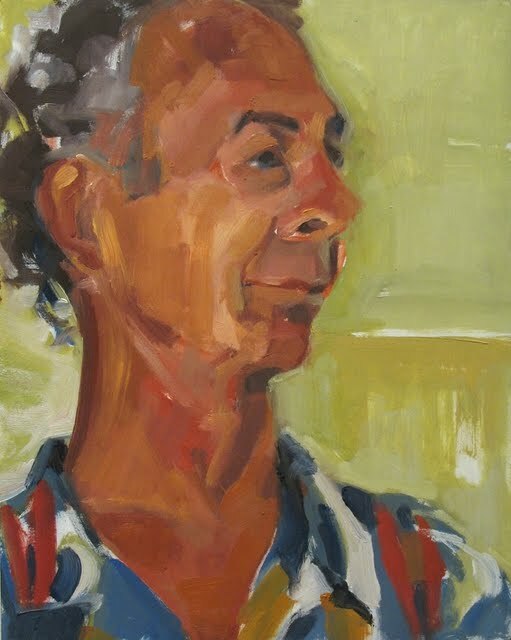 Whether painting a person or thing, my work is a direct dialogue between self and subject. It is about the act of slowing down, deeply observing, and being in the moment. It asks the question: How is it that a brush and paint can capture the spirit of a person or thing? 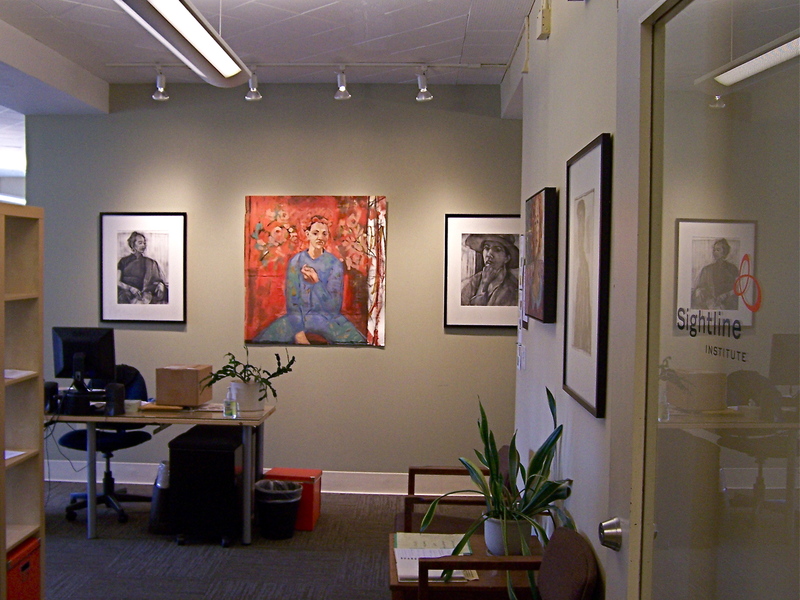 Gretchen’s work has been in both group and solo shows around the state. 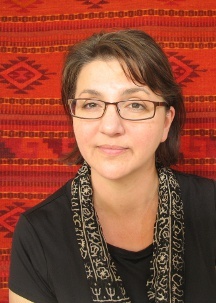 Locally, Gretchen is an active member of artEAST, Issaquah’s non-profit arts organization. 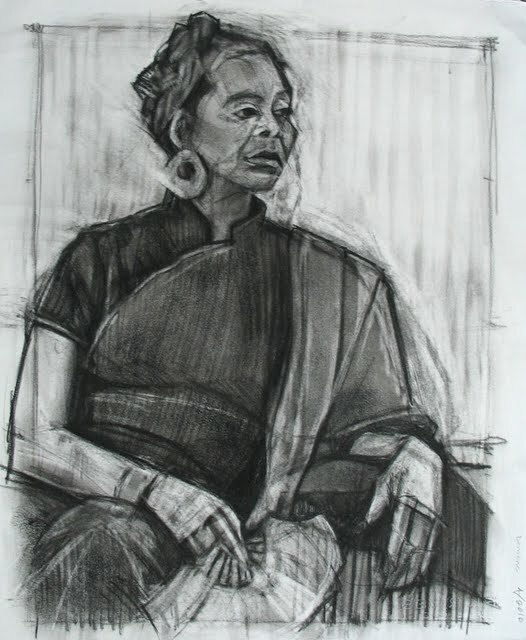 She and fellow member Ellen Borison (who showed at Sightline at the beginning of the year), have curated figure drawing shows the past five years at artEAST. Gretchen also participated in the organization‘s first 24-Hour Art Marathon last spring, in which she created four oil paintings on-site in a period of 24 hours. Conscientious about sustainability issues such as food, transportation, consumerism, and land use, Gretchen walks the talk. She lives in downtown Issaquah, where she is close to stores and services, the bus, trails, and the creek. In addition, she is the Assistant Executive Director at Athletes for Kids. 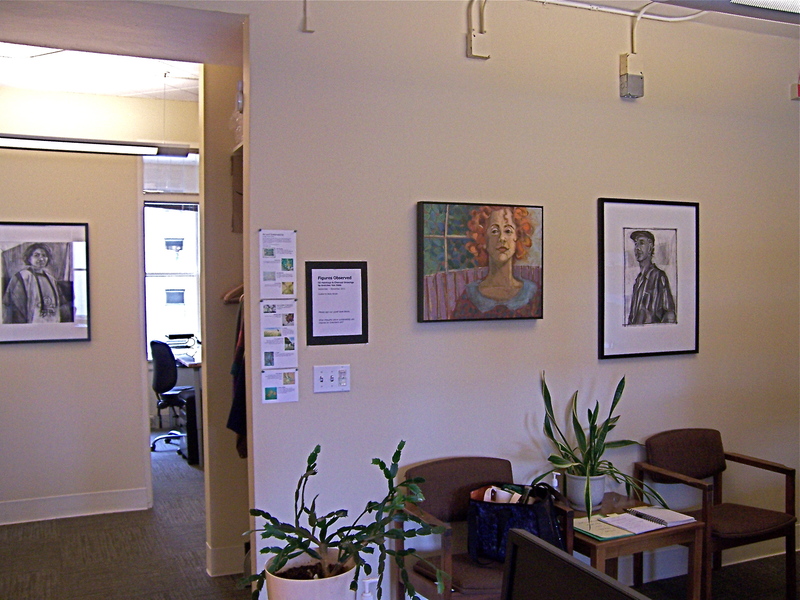 To view Gretchen’s paintings and drawings at Sightline now through the end of November, visit the office between 10am and 3pm on weekdays. Most works are available for purchase. Contact Gretchen directly at gretchenvandyke (at) earthlink (dot) net with sales inquiries. What thoughts about sustainability are inspired by Gretchen’s art (and by art in general)? Share yours in a comment.